U.S. Court of Appeals 6th Circuit, 1981. Listed in The Best Lawyers In America Directory, Woodward/White, in each edition (1994 through present date), in the practice areas of Medical Malpractice and Personal Injury Law. "AV" peer review rated (highest category) by Martindale-Hubbell Legal Directory in each edition from 1991 through the present date. Included in Mid-South Super Lawyers Directory: (for Personal Injury and/or Plaintiff's Medical Malpractice litigation). Best Lawyers In America, 2012 Memphis Personal Injury Litigation - Plaintiffs' Lawyer of the Year. 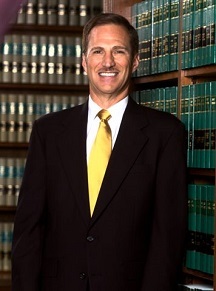 Selected by Peer Recognition among "Best Attorneys in Tennessee," as listed in Best Lawyers publication, January 2013. The Daily News (Memphis, 1/8/09), "Morrell Honored for Work In Malpractice, Personal Injury Law." Daily News (Memphis, 4/22/10), "Morrell Named Fellow of American College of Trial Lawyers." Plaintiffs' Counsel for Recoveries Obtained in the Range of $65,000,000. Bradford v. LeBonheur Hospital ($1,000,000 jury verdict in Memphis, Tennessee, for the wrongful death of a 3 year old child, where a hospital's emergency department failed to diagnose/treat patient's infectious disease). Brain damage from failing to treat post-operative bleeding in timely manner. Wrongful death for failure to diagnose/treat in a timely manner. Law Review: Memphis State Law Review, Member of Law Review, 1977 - 1980. Federal Judicial Clerkship: U.S. District Court, W.D. Tennessee, 1980 - 1981; Law Clerk to the Honorable Odell Horton (also serving by designation on U.S. Court of Appeals, 6th Circuit, 6/81). Lectured at Legal Seminars on the following subjects: Medical Malpractice; Trial Practice and Civil Litigation; Wrongful Death; Personal Injury; Expert Testimony; Cross-Examination of Experts and Witnesses; Damages; Jury Voir Dire. Academic Award: Memphis State Law Alumni Scholarship Award, 1979. Recipient: West Publishing Company Hornbook Award; Corpus Juris Secundum Award; U.S. Law Week Award; American Jurisprudence Awards (in various areas of the law). Author: Negligence" Tortfeasors Owe a Duty of Care to a Child That was Not Conceived When its Mother was Wrongfully Injured," 8 Memphis State Law Review 685 (1978).